Ka-Blam — For All Your Comics Printing Needs! Is there anything Ka-Blam won’t print? How do I order a custom-sized comic? What is the maximum pages per book? The Ka-Blam Template Visual Guide! Kickstarter Reward Fulfillment at No Extra Cost? Yep! 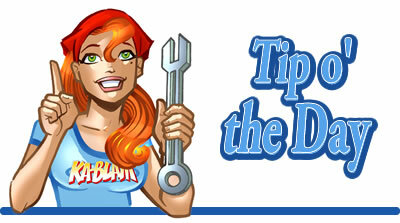 Ka-Blam Tip o’ the Day — Send Us Your News! The front page here at Ka-Blam is not just about us … it’s about YOU as well! Don’t forget that we’ll happily post your latest news and information. All you have to do is let us know! So if you’ve got a store signing or personal appearance you’d like us to promote, then let us know in the message center and we’ll post it here. Got some big news about … well, anything so long as it’s independent comic-related … let us know and we’ll run. Written a review of a new comic you liked, let us know. Written a profile of a fellow creator, let us know. Written a tutorial — or even just found a great one online — let us know! Got a video trailer for your latest project, let us know. PreviousAdd a Ka-Blam T-Shirt to Your Order … and Get PAID Just for Wearing It! Ka-Blam :: Digital Printing and So Much More! A 01Comics company. All images are © and TM the respective owners.